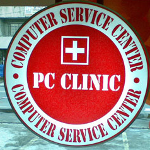 PC Clinic is a computer service center. - Yes, the Royalty Fee is 5% of Gross Sales. the payment is required each week, month or quarter. How Much is the total projected cost of investment? Is There A Required Space for your Shop? preferably 80 or more sq. meters. What is the Franchise term? After 6 Years, is the Franchise Renewable? - Yes, the franchise can be renewed. I am Interested, Where can I contact PC Clinic for Inquiry? - call (+63)936-7568723 and look for Mr. Doc E.J.